Editor’s Note: In the lead up to the 2016 Communities of Excellence Conference and Gala to be held May 13, 2016, at the Palm Beach County Convention Center, FLCAJ is reviewing part of the COE winners from 2015. The second group of winners will be featured in our January 2016 issue. Built in 2013, Apogee Beach Condominium had already incorporated many water efficiencies. However, they evaluated and adopted a zero-bleed water conservation program for their cooling tower. By filtering and pretreating to remove impurities from their cooling tower water, the conventional bleed-off of concentrated minerals to prevent scaling is avoided. The system is saving more than 800,000 gallons of water per year, with an estimated cost benefit of $8,000 per year. To minimize water use, the Stonecrest community initiated a water conservation and five-year landscape plan. A series of FFL workshops were held for residents, the list of acceptable plants was revised, and residents were offered microirrigation starter kits. High-maintenance common areas were re-landscaped, removing St. Augustine and replacing it with Asiatic jasmine where possible. The irrigation system was audited and repaired, with a dual-wire controller and rain-sensor system installed to help reduce overwatering. Metered irrigation costs were reduced by $81,000 from 2012 to 2013, and the 2014 use was cut another 10 percent. City 24 chose retrofit projects to reduce energy use without compromising comfort or the budget. By installing control valves on the HVAC heat pumps and a variable frequency drive to control the motor, annual pump motor energy use was cut from $60,000 to $24,000 per year. A variable speed drive was installed on the domestic water pump, reducing power consumption by 53 percent. Parking garage lighting was converted to LED lighting, reducing energy use by 77 percent and increasing light output by 200–1,000 percent. a payback period of less than 13 years including a credit for selling extra power. A solar installation at the recreation center saves up to $1,200 per month in energy costs. Madeira Cove, a self-managed community, found that their plants were not thriving, and their landscaping contractor was indifferent. After testing the soil, water, and plants, the community determined that they needed to match plants to their location and learn about their care. Volunteers attended an FFL workshop, and the board and owners have determined that FFL principles will improve the community’s curb appeal. The community will keep existing plants as long as possible, but will implement FFL principles for new plantings and landscaping, including integrated pest management. The Evergrene community was originally designed to promote environmental conservation and FFL principles. As the first residential community to be named a Signature Sanctuary by Audubon International, their documents and construction set the framework for the preservation of upland preserves, wildlife, water bodies, and green space, as well as establishing clear guidelines for homeowner landscaping. An annual seminar on adhering to Audubon and FFL standards is held, and association communications help residents comply with FFL principles. More than 80 species of birds are attracted to the community, and the association has received the Gold Audubon Signature Certification. The Four Seasons Events Planning Committee, as well as residents supporting specific charities, has collected donations for local needs and organized fundraisers to support cancer research and the Hadassah Medical Organization. School supplies, food for Thanksgiving, books, and toys for hospitalized children have been donated. Fundraisers, which have also helped develop a stronger sense of community, have included a dinner/fashion show, holiday boutique and lunch, designer bag bingo, community talent show, walkathon, and game parties. The Fiddlesticks Country Club formed the 501(C)(3) Bobby Nichols-Fiddlesticks Charity Foundation in 2002 to raise funds for the Children’s Advocacy Center, Abuse Counseling and Treatment, and Blessings in a Backpack. With $6.4 million in donations raised thus far, the Foundation donated $900,000 in 2014 and also had a wing at the Children’s Advocacy Center built in its name. A complementary effort is made by Fiddlesticks Cares, a group of members who volunteer their time to a broader spectrum of charities. In 2014, the mayor presented Fiddlesticks with the key to the city for their generosity and dedication to children in need. Mirror Lakes tailors communication to their residents, starting with new resident orientation in the clubhouse overlooking their lake. This is followed up with a “welcome neighbor” gift basket and a quarterly “Meet Your Neighbor” dessert happy hour. The Connections newsletter, available in print or e-mail, shares informational columns from residents plus news about clubs and activities. Word of mouth, phone, and bulletin boards are being supplemented with e-mail, Facebook, and texting, but face-to-face communication remains the most effective. New homeowners are connected to Southwood’s rules and regulations, activities, and communication methods through orientation and their new homeowner packets presented by the Welcoming Committee. Weekly e-mail blasts and a bi-monthly print newsletter provide current events, compliance tips, etc., and a Home Expo will also help with architectural/compliance choices. A community mobile app provides push notifications of current community updates to mobile phones, and a text messaging notification is starting in spring 2015. Social media and a website with a message board enable two-way communication for residents, organizations, and the association. 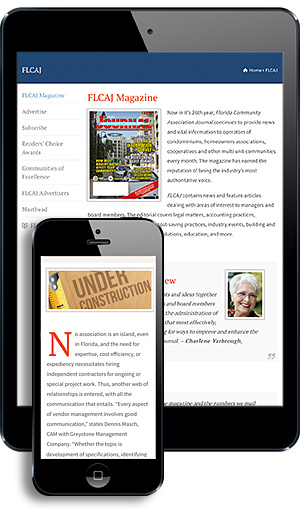 The association tracks effectiveness of communication tools, finding that 60 percent of e-mail blast subscribers view them on a mobile device, etc. Sharing pictures via social media has enhanced community interest. Heritage Park schedules monthly activity nights, holiday events, educational classes, fitness and sports activities, and special interest functions, with major event dates provided on a community calendar for the upcoming year. Special events especially appealing to families include the Family Egg-cellent Easter Egg Hunt, community yard sale, Fourth of July parade with fire trucks and helicopter, Halloween party and costume contest, winter social with donation collections, and holiday light contest. The sports courts and fields along with the clubhouse provide space for meetings and events. Volunteer involvement keeps the events coming without being a major expense to the community, and the teens are thanked by the social committee for their work each year with a dinner and movie night. Residents are offered a variety of regular and special events for opportunities for interaction. Each month a Food Truck Round-Up event is scheduled, with entertainment and food vendors. Family movie night, health and wellness programs, and seminars are offered regularly. The winter festival with real snow is the largest event of the year, but other popular family events include a spring Easter carnival, summer barbeque, National Night Out, Mardi Gras festival (ages 21+), fall festival, and bike rodeo. Pembroke has expanded their social program from eight standard events in 2011 to 80 events in 2014. New clubs, new events, and new sponsors have resulted from resident input, and attendance is growing as more communication has developed. Most events are family-friendly, and include family bingo night, a Veterans Day ceremony, Super Bowl party, health fairs, educational seminars, Oscar nominee night, Hunger Games movie marathon, and a Frozen movie night with snow cones. Editor’s Note: Jessi O’Quinn was one of five managers honored in 2015 as a manager of excellence. To read about the previous winners, please read the October and November 2015 issues. 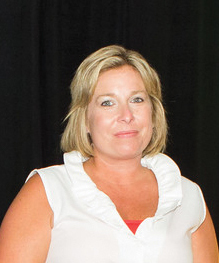 Jessi O’Quinn with Sentry Management has been named a 2015 Manager of Excellence. As a portfolio manager, she has been at the helm of more than one award-winning association in the Communities of Excellence contest. “In 2012, the Towns of Southgate, which I managed for almost six years, won the Financial Innovation Award,” says O’Quinn. “Like most communities, it was hit hard in 2007 by foreclosures and bankruptcies. They faced some major projects—roofs, painting, and sidewalk replacement. We worked steadily on collections and evaluated every contract to get costs lower. The community developed a five-year plan to complete the necessary projects. Currently landscaping, the last major area, is being finished. O’Quinn sees the failure to pursue collections vigorously as a common mistake made by communities. “Sometimes boards think foreclosing on properties is a little too extreme, but I’ve never seen it that way,” she remarks. “I think it is a sound business practice and sets an example to all homeowners. Of the foreclosures at Towns of Southgate, we had nine rented and were making $9,000 per month. I’ve always moved forward on collections and foreclosures, and I educate the board on why this needs to be done. It is usually best to get a rental management company, so the board does not need to get involved in individual properties.